Stroll down Fifth Avenue, and strange things are happening there. 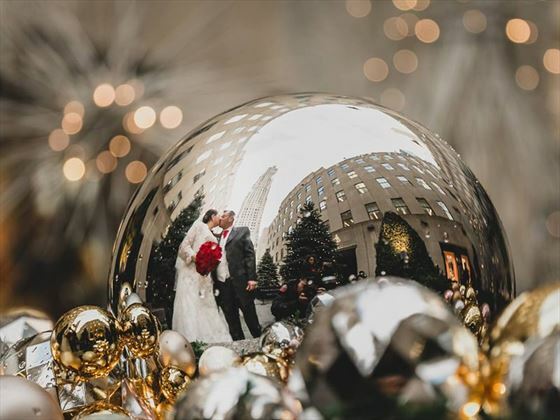 Store windows have been turned into glittering fairylands, street corners are sprouting lighted trees, and everyone seems to be wearing a very special kind of a glow. It’s beginning to look like Christmas. It is one of the most magical times in the city, the streets are adorned with festive sights, shop window designs come alive and take you back to your childhood dreams! 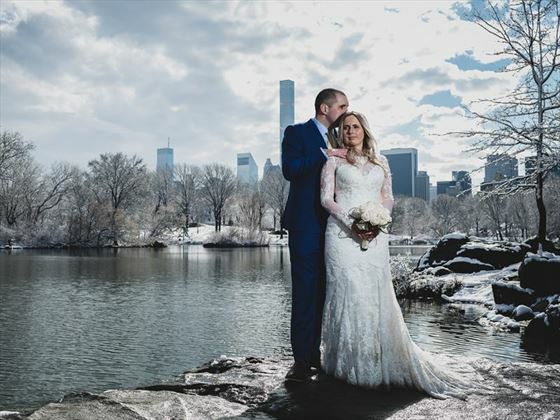 Have your very own ‘Fairy tale in New York'. 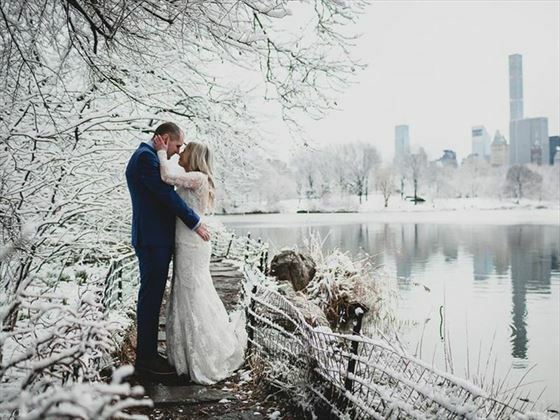 Your magical Christmas wedding will take place at Ladies Pavilion in Central Park. 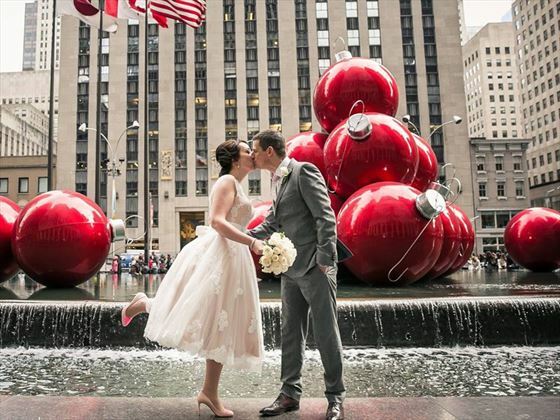 Following the ceremony, you will be whisked off by limousine to the famous Rockefeller Center. 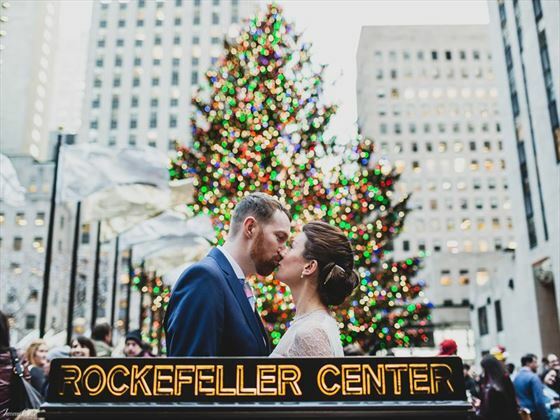 The Rockefeller Christmas Tree is a world-wide symbol of the holidays in New York City and this is where your additional festive wedding photographs will be taken. 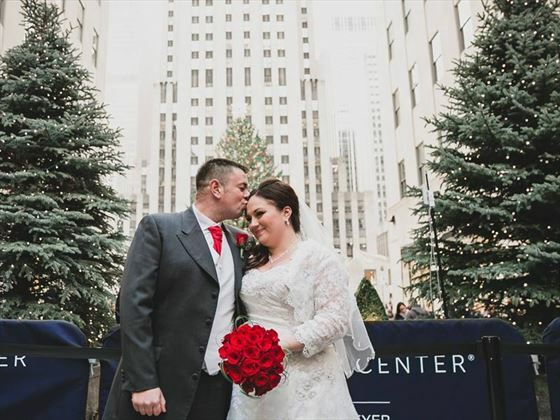 Weddings performed Monday through Friday (depending on availability) from the 4th December – 7th January. (Not available on Christmas Eve). We would recommend a 5 night stay in New York. 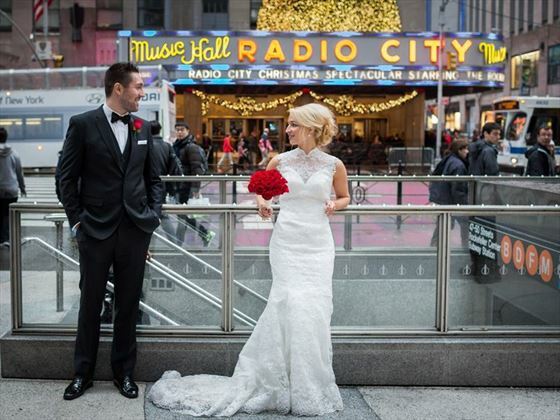 At least 24 hours before your wedding day you need to apply for a New York marriage licence. This is a very simple process which you can complete as a couple together. You must allow for a full 24 hours to pass from obtaining the licence before you can get married. The cost of your licence is included in your wedding package. 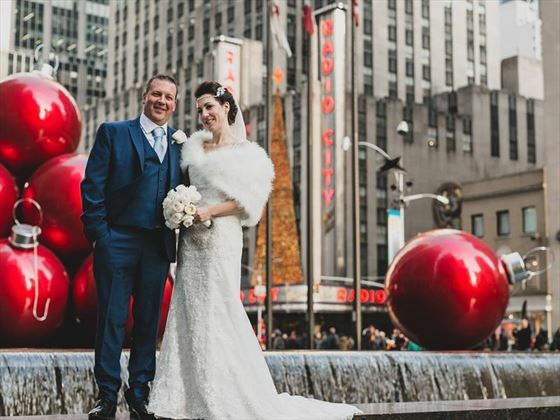 You must both apply in person to the New York City Clerk’s Office, however this is a very simple and easy process and the New York wedding planner will go through all these details in your pre-wedding meeting when you arrive. Please advise if you have any guests attending as larger groups may incur a park fee.